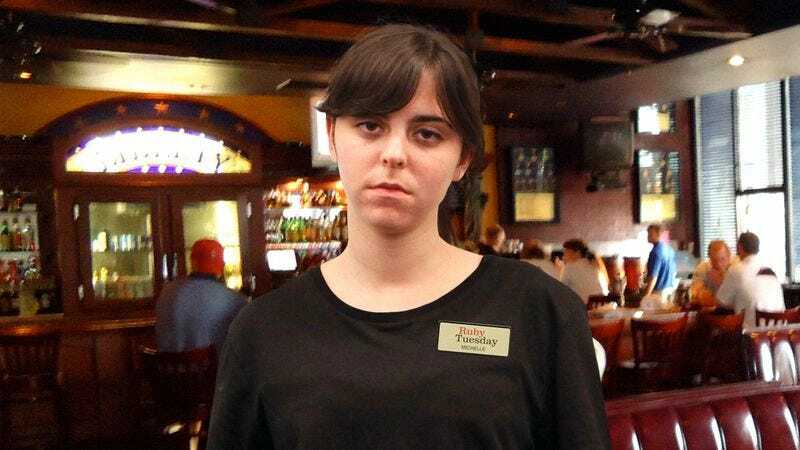 SUFFOLK, VA—Hoping to have as little contact as possible with the large group of college-aged men until they left the restaurant, every member of the waitstaff at a local Ruby Tuesday admitted Friday that they were actively avoiding a large table conducting their fantasy football draft. “I got their food and drink orders all in one swoop and then booked it back to the kitchen before they could ask for anything else—as soon as I drop off these buffalo wings, I’m staying away from them at all costs,” said server Heather Lipscomb, adding that she brought two extra pitchers of beer for the 10 men—several of whom were wearing NFL jerseys—in the hopes that they wouldn’t need anything else for the rest of the night. “One of them kept waving at me as I was bringing some entrées over to another table in my section, but I just kept my head down and pretended I didn’t notice, and everyone else working tonight is pretty much treating that whole area as a no-fly zone. Look, they already have their little draft printouts and laptops spread all over the two tables that [hostess] Melissa had to push together for them—God, I hate them.” At press time, after successfully ignoring them for a full hour, several waiters audibly groaned upon overhearing that the group was only just about to start their draft.